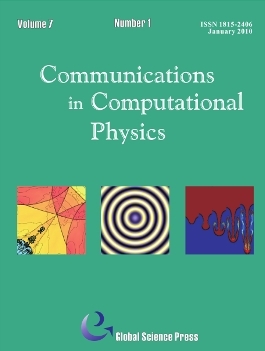 Communications in Computational Physics (CiCP) publishes original research and survey papers of high scientific value in computational modeling of physical problems. Results in multi-physics and multi-scale innovative computational methods and modeling in all physical sciences will be featured.CiCP is a refereed international, interdisciplinary journal edited by a group of world-wide leading scientists in diverse fields to guarantee its highest standard. The journal is published in a timely fashion in printed and electronic forms. Our Associate Editor Stanley Osher has been elected as a member of the National Academy of Engineering in 2017. CiCP's Managing Editor Professor Tao Tang was elected as an Academician of the Chinese Academy of Sciences in 2017. CiCP's most recent SCI impact factor (2016) is 2.004. It is ranked #10 among the 55 mathematical physics journals. Our Associate Editor Professors Song Jiang and Pingwen Zhang were elected as an Academician of the Chinese Academy of Sciences in 2015. Since 2006, CiCP has been indexed by Science Citation Index-Expanded (SCIE), Scopus, Mathematical Reviews. Commun. Comput. Phys., 24 (2018), pp. 1556-1578. Commun. Comput. Phys., 18 (2015), pp. 1-36. Commun. Comput. Phys., 15 (2014), pp. 853-894.